Did you know that Lexus of Richmond has a fully equipped Collision Center? Our talented Lexus Certified Technicians and Customer Service representatives have over 85 years of combined experience and offer a wide range of services to assist with your vehicle. The Lexus of Richmond Collision Center is well-equipped for all situations. They accept ALL makes and models for ALL types of accident damage, as well as all types of insurance. A wide variety of repair services are used, some of which include body and paint repair, dent removals, windshield repairs, headlight restorations, cosmetic touch-ups, and much more. 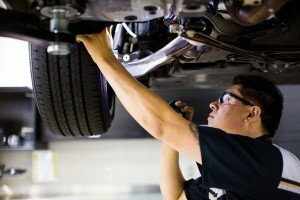 To ensure that the repairs will be cost effective and efficient, the Lexus of Richmond Collision Center also offers insurance claims, written limited warranties, free estimates, CCC Pathways computerized Estimations, digital photo imaging, towing and delivery services, etc. This quality and effort put into the care of your car helps make all repairs virtually undetectable. A major special happening at the Collision Center right now is $50 off any repairs $200 or over. Take advantage of this offer. It lasts until 3/31/2016! Please download our Lexus of Richmond App from the Apple’s App Store, Android’s Google Play, or the store on Blackberry World for access to the coupon. Check under our “Events/Specials” tab. If you have any questions, concerns, or would like to set up an appointment with the Collision Center, please call (804)323-7680 or visit here to set up a service.